Congratulations and Thank You to Glen Robbins! Rotarians who contribute a total of $1000 to The Rotary Foundation, foundation of Rotary International, receive a commemorative pin called the Paul Harris Award, named after the founder of Rotary. Lori Cloutier introduced Glen Robbins, our newest Paul Harris Fellow. 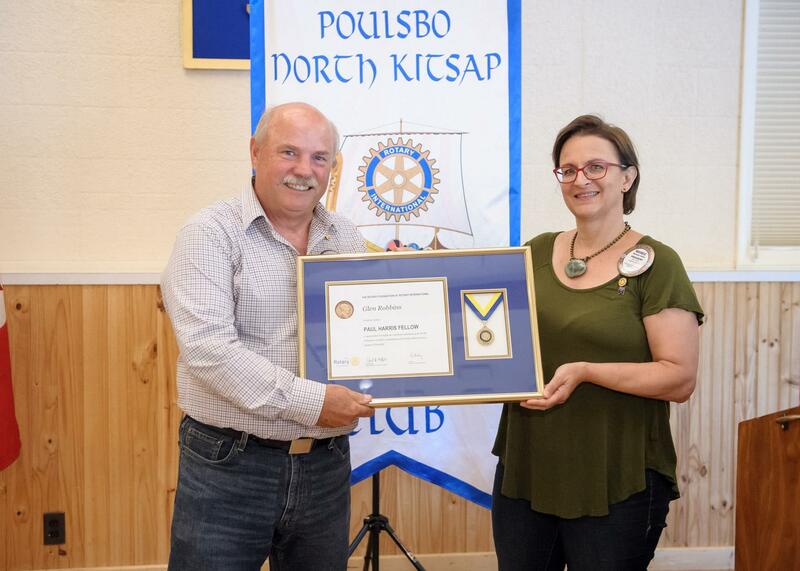 Glen is a new Rotary club member and has already achieved this terrific honor! Way to go, Glen!